The palace theatre was built in 1898 for its new owners United Counties Theatres Limited and Horace and Lechmere Livermore at the cost of £95,000 replacing the Palace of varieties at the nearby St James hall which had been in operation since 1866. The site was originally occupied by a tobacconist, butcher, provision dealer and boot maker. The building was designed by William Arber of Wimperis & Arber from London the development included an adjacent hotel which cost a further £85,000. The theatre was opened on Friday 2nd September 1898 for a private viewing, the specially invited audience were entertained by the Royal naval band and a variety of other acts including the Princess Ladies orchestra and comedian Harry comlin, the show ran for nearly three hours. Early on the morning of 23rd December 1898 a fire was spotted by a passing police officer, by the time the fire brigade arrived the rear of the building had been destroyed, parts of the auditorium had also been badly damaged due to the fire curtain not being lowered after the show. It took five months for the theatre to be rebuilt and it finally opened again on 22nd May 1899, under new management, Mr James Wynes, six years later a sliding roof was installed into the theatre. The building changed hands a couple of times during the years to follow before being purchased for a second time by Mr Thomas Hoyle in 1924. In 1932 the theatre was handed over to his widow following his death, Mrs Mary Hoyle then ran the theatre during the war years, in 1941 the theatre was hit by several incendiary bombs , but fortunately the fires were extinguished quickly and no damage was done. In the following years the theatre was to change hands several times becoming a bingo hall and a club showing striptease and wrestling, in 1975 the theatre was bought by the EMI group and reopened in 1977 as a theatre with a performance of “The Magic Flute” by the English Music Theatre Company. 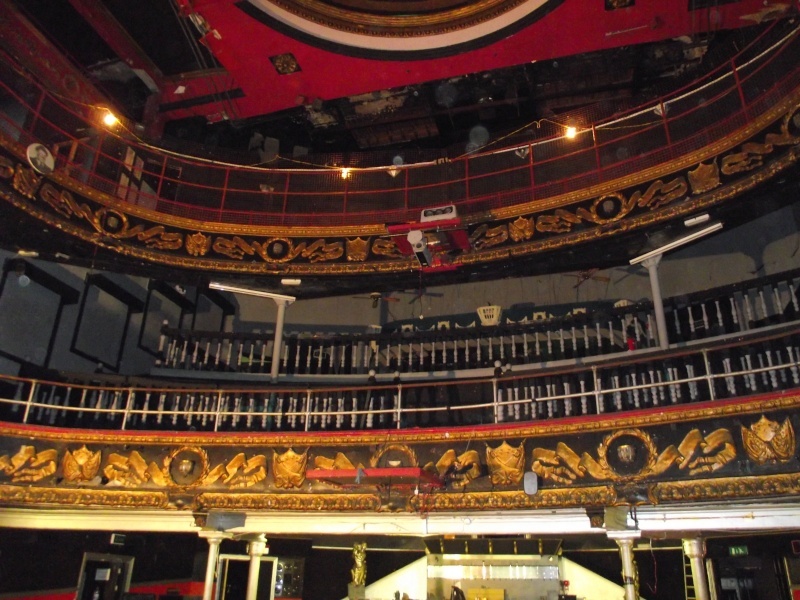 In 1983 the new palace theatre closed its doors for the last time as a theatre house, some of the stars that stood on stage in this magnificent building included Laurel and Hardy, Charlie Chaplin and Harry Houdini. In 1983 the dance academy was opened, by this time the new theatre royal had been opened in Plymouth and had put to rest any thoughts of the theatre ever opening as a theatre again. 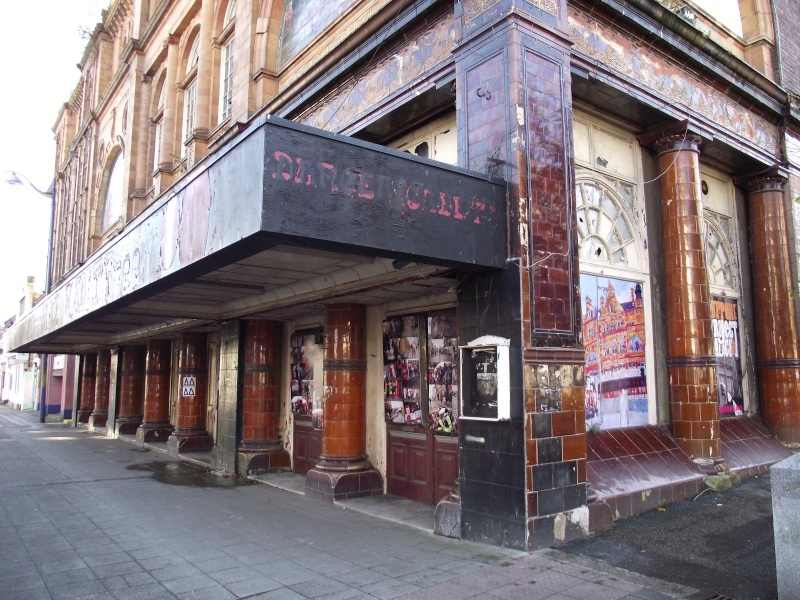 In 1994 after an unsuccessful bid for government funding to refurbish the theatre it was sold to an Iranian businessman who renamed it the Dance academy, which soon became one of the UK’s top club venues, before it was closed in 2006 due to drug problems. Since then the building has fallen into a state of disrepair. There have been many reported sightings over the last few years, the most reported being the ghost of a woman that roams the upper levels and is known as Mary, she is thought to be the spirit of Mrs Mary Hoyle a former owner during the 30’s and 40’s, she has been seen by workmen that are presently refurbishing the theatre. Another that has been seen is that of a small girl in one of the stairwells, unfortunately there are no further details on who this could possibly be. The theatre is presently being refurbished and there are still reports of unexplained incidents. In December our team spent the night investigating the theatre and I must say that we did experience some unexplainable incidents.